- help you buy safe & easy! We can source the products you’re interested in, then report to you. So you won’t spend time and money for a tiring useless trip. For this sourcing work, we do either for FREE, or charge a sourcing fee, depend on total time required. We can also book hotel, arrange pick up from airport, buy train tickets for visitors in advance. RATE: 300 - 600CNY (about 50 - 95USD)per day for different level guides, minimum 0.5 days. *For serious buyers, we can also offer this service FREE OF CHARGE. >>You may be interested in why i need a professional guide? If you can not find what you want to buy (most probably not), we go on sourcing for you. help solve after-wards problems after products received/sold. For above services, we charge 3 - 8 % service commission based on your grant purchase value, total numbers of suppliers, and customization workload. FREE OF CHARGE if you're not happy about our service. >> See our commission rate detail. (This will appear in a new window). Love it or hate it, why not share it? The customs here (Colombian) checked the shipment three times and could not find any problems. I have been very pleased in all aspects of our journey together and would be happy to recommend you and Jack’s company to anyone requiring an agent to assist them in Yiwu. "PanPan made it that easy." "All of you are very friendly"
"It's so nice to have this company as our agent." "My order arrived yesterday and I am very happy." "Could not be happier with his performance. Highly recommend." "Professional manner. Willingness to assist"
"this is our third time to use the company"
"The sensation of trust that is associated with this company"
I like your sourcing and quality control. charge are expensive, and we doesn't like to pay before the shipment. Lily was very helpful, patient and responsive. "I'd like to thank you for your commitment to high quality service you give." "I can confirm that quantity and quality are correct." Would definitely use them again. Great work guys thank you! Our business would not be where it is today without you and we are grateful that we found you and your company! Jack proved his trust, work ethic and commitment. I could't be happier with the decission I made. Всем нашим соотечественникам, очень рекомендую Джека, как агента на Yiwu market. This was a large sum of money and all I can say is a BIG Thank You to Jack. I recommend to everyone to read the complete website . Everything is there. AND everything is true ! I worked several years with him and he never let me down. "well educated, always on time and very professional. i advise you to meet him in person!" Great Service, And I am looking forward to come again in September this year. Very effective! Very nice people! Jack knows where to bring you for Halal food! The trip was a success and we have order alot of stuff already. Great was great, thank you for your advice and good service!! My family and I enjoyed our trip. "She really knows useful details about a wide range of products"
"Lisa is excellent at keeping in touch and dealing with my situations"
"product has arrived and looks beautiful"
"We are very satisfied with both the goods and your excellent service"
"My order arrived yesterday and I am very happy"
"promo attention and understanding the client's needs"
"Charge & Commission are Cheap"
"When I was in China, I feel very well the help and it was very professional"
"I like your sourcing and quality control"
"It was a great pleasure working with you." "quick respond, organized, focused on customer, excellent service"
"Overall is Good. 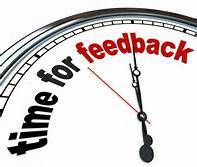 Excellent follow up & respond, products received good, affordable charge & commission... "
"We could not have done this without your help.I really don't know what you could have done better." "We found him and his team to be friendly, honest, trustworthy and diligent"
"We can honestly recommend Jack and his crew"
"THANKS FOR THIS 4 YEARS OF GOOD BUSINESS"
"they've been really efficient, effective, honest and transparent throughout the whole process"
"Our business would not be where it is today without you and we are grateful that we found you and your company! " "Our company is now the 4th year cooperating with Jack and his employees which means that we are very satisfied with their services. " "Fast reply on all e-mails and good QC after we left Yiwu, secured a delivery that meet our quality and time demand"
"It will be a real pleasure to cooperate with him in future"
"Overall I am satisfied "
"Всем нашим соотечественникам, очень рекомендую Джека, как агента на Yiwu market." "professional, kind and considerate in all you do. May God Bless you in all you do... "
"This was a large sum of money and all I can say is a BIG Thank You to Jack." "I recommend to everyone to read the complete website . Everything is there. AND everything is true !" "I worked several years with him and he never let me down. " "His services as an agent was more than satisfying and his honesty and fairness made us feel right at home half of way across the world from home... "
"It was a great and friendly services to assist us, thank you very much. " "Great Service, And I am looking forward to come again in September this year. " "Very effective! Very nice people! " "Jack knows where to bring you for Halal food! " "The trip was a success and we have order alot of stuff already. " "Why I will go back to Jack... "
"Great Service by Jack "
"Not only is he immensely organized and professional, he and Lisa(my guide) were very very very kind to my sister and I." "A great company run by great people "
"When I visit yiwu in the future I definitely will use jacks services."